2 prenatal meetings which can take place at either your home or another agreed upon location. E mail and telephone support for any pregnancy and birth questions/concerns you may have. 24 hour / 7 day a week on call availability for the two weeks before and two weeks following your estimated due date. In person support for your active labour and the birth of your baby. I will stay with you until breastfeeding is established (usually a couple hours after the birth). 1 postpartum follow up visit. The price for a first time mother doula care package is $1200. Prices for experienced mothers as well birth only packages are available upon request. *As a member of the ANN I provide receipts for Naturopathy. 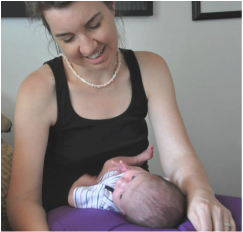 If you are considering private prenatal education, feel free to contact me.